Nova Scotia's mining industry is hoping for good news in the budget Finance Minister Karen Casey plans to introduce on March 26. The Mining Association of Nova Scotia and its members have been lobbying the McNeil government in favour of a $20-million proposal to survey and map the province in the hopes of finding mineral-rich deposits. The results of that aerial work would then be shared, in an effort to entice mining companies to explore further and possibly open new mines. Sean Kirby, the mining association's executive director, said the project was modeled on similar work undertaken by the Nova Scotia government to promote offshore oil and gas exploration. "The government invested $15 million in surveys related to the offshore oil and gas sector and that resulted in over $2 billion in investment in the province's economy and the province's offshore industry," said Kirby. "When a big mining project gets going in Nova Scotia we create hundreds of jobs for people both direct and indirect," he said. "That generates a lot of tax revenues for the province and helps make a big difference, especially in the rural areas of the province because that's where most of the jobs in our industry are located." The province is already providing money to mining companies to do prospecting, research, exploration and marketing, through the Mineral Resources Development Fund. In 2018, the fund disbursed $820,000. Between 2012 and 2017, the Mineral Incentive Program, the predecessor fund, contributed almost $2.5 million towards similar work, but Kirby called the current provincial data available to the industry outdated and technologically inferior to what is needed. "This is actually a night and day difference from what has been done previously," he said. What the mining association calls its Minerals Play Fairway project would involve an initial survey using three airplanes that would take about eight months to complete, at a cost of about $9.4 million. Phase 2 would build on that work and take approximately four months to do, involving airplanes and helicopters. That part of the data collection would cost $10 million. Once collected and processed, the data would then be used to market the province's mineral potential to mining companies around the world. "It's about attracting more investment to the province, creating more jobs," said Kirby. "So at the end of the day our provincial and municipal governments have the resources they need in order to give us the services that Nova Scotians all want." Derek Mombourquette, the minister of energy and mines, said his department has been speaking to the industry about its plan, but he is tightlipped about whether it would be considered in the upcoming budget. "I can understand the rationale for why they would want to see something like this, similar to what we did in the offshore," he said in an interview. "We're going to continue to have those conversations. "There's been no decision made at this point." Ray Plourde, the wilderness co-ordinator for the Halifax-based Ecology Action Centre, is dead set against government funding this kind of survey work. "That's the job of industry, it's not the job of taxpayers," he said. "It is not the responsibility of Nova Scotia taxpayers, in a province that can't afford to pay its doctors, its teachers and its nurses, and keep its basic services running at an adequate level to give millions of dollars to the mining industry to develop mines that the public may or may not even want." In its fifth year, the Mining Association of Nova Scotia's Mining ROCKS! contest hopes to educate young people about mining and encourage them to consider a career in the industry. But what are the barriers between the sector and young people today? Heidi Vella finds out. "Do you want to win a bucket load of cash? Of course you do!" is the eye-catching strapline of the Mining Association of Nova Scotia's (MANS) annual Mining ROCKS! contest. "We started the Mining ROCKS! video contest as a way to appeal to young people, to give them a reason to want to learn about what we do by doing their own research," he says. Ingratiating young people to the mining industry is more than just about positive PR; it's a necessity if the sector is going to plug anticipated future skills shortages. According to a 2018 labour report by the Mining Industry Human Resources (MiHR) Council in Canada, the country's mining industry will need to hire roughly 97,450 workers over the next 10 years (2019 to 2029). These new hires are required to replace retirees, the number of which is expected to increase in the coming years. In Nova Scotia the mining industry employs around 5,500 people of a population of around 950,000. Nationally, the sector employs around 403,000 workers directly. "I think one of the biggest barriers is a lack of awareness of the industry by young people, certainly in Nova Scotia," says Kirby. "Or for many their perception goes back 50 years and they envision soot covered faces, pick axes and black and white pictures, when the reality is a very sophisticated, high tech industry." MANS tries to address these misconceptions 'head on' with its 'Not Your Grandfather's Mining Industry' initiative, which aims to highlight the increasingly technological aspects of mining. "It is not known that mining is actually vital to green energy development," says Kirby. "You can't have solar panels and wind turbines without the minerals we mine, so we try to convey that message and say, you know, mining is actually essential to the greening of the economy or to reducing of society's environmental footprint." It's also worth noting, he says, that mining is one of the better paid employment sectors in Canada, with the average wage in Nova Scotia being around C$55,000 a year, putting it on par with the province's financial services industry. "I think there's a tendency, quite understandably, for companies to keep their nose down and focus on their job, so it's really important to have an organisation like ours that can focus on education and public outreach," he says. "However, we do wish in Nova Scotia the education curriculum did more around mining and geo-science, we're trying to fill the gap." The MiHR's labour assessment notes that undergraduate enrolment in accredited engineering programmes in Canada more than doubled over a 20-year period, from 40,700 in 1996 to roughly 84,450 in 2016. However, according to MiHR, the projected gap analysis for professional and Physical Sciences Occupations and technical occupations "indicates the mining industry will likely face major hiring challenges for engineering-related occupations if current trends continue." Kirby agrees. "It's our view that geo-science is as important to understanding the world around us as physics and chemistry, for example, therefore it should have a more significant role in the curriculum, that's why it's important to reach out to young people and give them some basic understanding and knowledge of geology," he says. However, women continue to be under-represented and attracting them to the sector could be key to plugging future skills gaps. According to 2016 census data, women make up 48% of the Canadian labour force, but account for only 16% of the mining workforce - a figure that hasn't changed much since the 2011 census data. "I think our challenge is more about general educational outreach to help Nova Scotians understand the industry better; though, there's certainly room to do better at targeting specific groups, like females," says Kirby. As for its flagship Mining ROCKS! competition, however, Kirby says it should be judged by the growing number of entries - from 21 five years ago to 33 last year. "We will just keep at it and keep making good progress," he says. "Because we absolutely need to make sure we have the skill sets and the labour necessary for the future." Just like biology, chemistry and physics – subjects many of us had to take in school – geoscience is essential to understanding the world around us. Geoscience is the scientific study of our planet’s geology and its minerals, soil, water and energy resources. It tells us how Earth works. The Mining Association of Nova Scotia recently released a report that calls for significant new provincial government investment in geoscience. Our Minerals Play Fairway report (www.tmans.ca/minerals-play-fairway) argues that $19.5 million should be invested in surveys to improve our understanding of Nova Scotia’s geology. The industry’s goal is to find future mines and quarries, attract investment and create jobs for Nova Scotians. That is what we do. The surveys would help find potential geohazards and protect Nova Scotians from them. For example, radon is a naturally occurring gas produced by radioactive decay of uranium, which is found in most rocks and soils in Nova Scotia. Radon is the second leading cause of lung cancer, behind smoking. Development should be better managed to reduce Nova Scotians’ exposure to high uranium levels in water and radon gas in houses. The sinkhole in Oxford’s Lions Club park is a current example of how geohazards can impact our safety and daily lives. It has been suggested that it is the result of an underground gypsum or salt deposit eroding in water and leaving a cavern which has caved in. 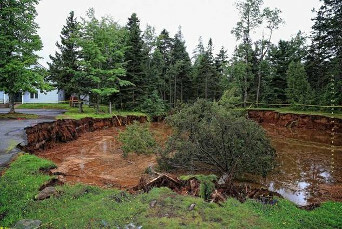 Sinkholes are often caused by the natural erosion of minerals. Coastal erosion is another example of a geohazard and an issue all Nova Scotians should be concerned about. The surveys we are proposing would help the provincial government’s geoscience experts identify and map geohazards like these. They do excellent work protecting Nova Scotians and our infrastructure, but new, better data would help them in their work. Minerals Play Fairway would also help us find and manage underground water sources, which is particularly important given climate change. The wells that ran dry this summer were a reminder of how important this is. Minerals Play Fairway is modelled on the highly successful Nova Scotia oil and gas Play Fairway Analysis. In 2008, the Department of Energy commissioned a $15-million geoscience data program with the goal of stimulating offshore petroleum exploration. The data was made available for free to the global oil and gas industry and attracted over $2 billion in investment in Nova Scotia’s offshore. A minerals version of Play Fairway would provide a free, best-in-class database of geological knowledge that would also help attract investment and job creation. The provincial government has made a series of policy decisions in recent years that have helped the mining industry grow and create jobs for Nova Scotians. These include extending the fuel tax rebate to mining, an excellent overhaul of the Mineral Resources Act, the establishment of the Mineral Resources Development Fund which funded the Minerals Play Fairway report, and giving the industry a higher profile within government with the creation of the Department of Energy and Mines. The surveys outlined in Minerals Play Fairway are an important next step in helping the industry create new jobs. Improving our geological knowledge of the province would also lead to improved safety for Nova Scotians and better land, water and environmental management. According to the Fraser Institute’s annual survey, Nova Scotia has a poor reputation among some global mining executives. But we think recent developments in Nova Scotia make it worth a second look. Today marks the first day that Nova Scotia mining companies can apply for fuel tax rebates for fuel consumed at mines, quarries and pits. Provincial fuel tax is supposed to help pay for public roads and highways by charging the vehicle owners who use them. The Nova Scotia government gives other resource industries a tax rebate for fuel used in vehicles that do not go on public roads, such as fishing boats, farm tractors and forestry harvesters. Nova Scotia has excluded the mining and quarrying industry from the rebate since the 1980s, even though most of the industry's vehicles also do not use public roads. The fuel tax rebate will save producers 15.5 cents per litre of gas and 15.4 cents per litre of diesel consumed on mine, quarry and pit sites. The total savings are estimated to be $1.6 million this year. The provincial government’s fall 2017 budget extended the rebate to the mining and quarrying industry and recent regulatory changes make this the first week that companies are able to actually submit rebate applications. We all support protecting land but we need to avoid unnecessarily harming our economy. Unfortunately, government documents prove that the province’s protected areas plan is harming the mining industry in Cape Breton. When the previous government released the protected areas plan, it said it had taken economic potential, including mineral potential, into account when choosing which lands to protect. Documents on the government’s web site suggest otherwise. Seventy-six percent of the protected areas discussed in detail on the government’s site have medium and/or high mineral potential, according to the government’s own analysis. The Parks and Protected Areas plan identified 782 areas for protection. MANS was able to find pages on Nova Scotia Environment’s web site for 179 of those areas which included NSE’s assessment of whether the areas have low, medium or high mineral potential. Of the 179 areas, 137 (76 percent) are considered by NSE to have medium and/or high mineral potential. Fifty-eight areas (32 percent) are considered by NSE to have high mineral potential. Cape Breton contains 32 protected areas that NSE believes have medium and/or high mineral potential, more than any other region of the province. Of the 179 areas, 35 (20 percent) had mineral claims staked in them when the previous government chose to include them in the protected areas plan. Twelve of those areas are in Cape Breton, again, more than in any other region of the province. Claims being staked by the industry are clear evidence of mineral potential in those sites. If the 137 areas we reviewed are representative of the protected areas plan in general, the plan will harm the province’s economy forever by protecting hundreds of sites that could otherwise potentially be used to create jobs for Cape Bretoners and all Nova Scotians. The NSE documents suggest the economy was not a significant factor for the previous government as it rushed to choose protected areas before calling the 2013 election. The protected areas plan was released on August 1, 2013 and the previous government called the election five weeks later on September 7. We believe land swaps would be a win-win for the environment and the economy – a way to protect our most beautiful and ecologically-unique areas while also fostering the job creation and economic growth Cape Breton and Nova Scotia need. The province’s mining industry is proposing a land swap mechanism to address what it describes as disproportionate harm to the industry from Nova Scotia’s protected areas plan. The Parks and Protected Areas plan, completed in 2013, identified 782 areas for protection. MANS says it completed analysis of government documents related to 179 of those areas, documents that included assessment of whether the areas have low, medium or high mineral potential. Of the 179, more than three quarters are considered by the province to have medium and/or high mineral potential, 32 per cent are considered to have high mineral potential and 20 per cent had mineral claims staked in them when the previous government chose to include them in the protected areas plan. Nova Scotia’s mining and quarrying industry employs 5,500 people. The previous provincial government released the protected areas plan on Aug. 1, 2013, and called an election five weeks later. MANS believes a rush to finish the plan before the election contributed to flaws in the land selection process. The MANS proposed land swap mechanism would allow mining and quarrying companies to access protected land by purchasing land of at least equal size and ecological value outside the protected areas, and arranging for it to be protected instead. Proposed land swaps would be fully regulated by the provincial government, on a case-by-case basis, to ensure there is a net benefit to the province. The online documents reviewed by MANS can be found at https://novascotia.ca/parksandprotectedareas/plan/lands-profiles/. The Nova Scotia government’s recent funding announcement is a step toward creation of a mineral version of the province’s oil and gas Play Fairway Analysis, according to the Mining Association of Nova Scotia. The government’s new Mineral Resources Development Fund introduced in the 2018-19 provincial budget is providing $62,000 to conduct “a needs assessment” of the province’s publicly held airborne geophysical data, the mining association said in a news release. The needs assessment will identify strengths and weaknesses in Nova Scotia’s minerals database and will recommend how to improve it, in order to attract more investment and job creation to the province, said Sean Kirby, the association’s executive director. “The government … is making strategic investments to help the mining industry grow and create new jobs for Nova Scotians,” Kirby said in a news release. In 2008, the Nova Scotia government commissioned a $15 million Play Fairway Analysis and Geoscience Data Package program with the goal of stimulating offshore petroleum exploration activity. The resulting data was made available for free to the oil and gas industry and attracted more than $2 billion worth of investment in Nova Scotia’s offshore, the mining group said. “The needs assessment project is the first step toward building a minerals version of Play Fairway — a free, best-in-class database of geological knowledge that will help attract mining companies to Nova Scotia. The oil and gas Play Fairway was a made-in-Nova-Scotia success story and we want to copy it for the minerals industry,” he said. The association is also praising the government for giving the mining industry a higher profile within government by removing mining from the Department of Natural Resources and creating a new Department of Energy and Mines. The premiers of Nova Scotia and Newfoundland and Labrador have both expressed concerns recently about the federal government’s plans for Marine Protected Areas (MPAs). Premiers McNeil and Ball have argued, perfectly reasonably, that conservation decisions must take into account economic impacts and be based on science. The mining and quarrying industry has basically the same concerns about Nova Scotia’s protected lands plan that our provincial government has about federal MPAs. Premier McNeil put it, “We will work with the federal government on the objective of more marine protected areas, but it has to be done in a way that allows Nova Scotians to maximize the value of our resources." He has also stated, “To date, we are not seeing decisions based on science, research or fact. If the decisions are not going to be based on science, it begs the question, 'On what will they be based?'" Sometimes things that sound simple are actually quite complicated. We all agree on the importance of conservation. That’s simple. But protecting the right areas, and protecting them the right way, is complicated. First, economic impacts were not sufficiently taken into account when lands were chosen. In the case of our industry, protected areas overlap 5.5 per cent of the province’s known mineral occurrences, and are harming or outright blocking numerous potential projects that could otherwise create hundreds of new jobs for Nova Scotians. Second, protected areas are not always the beautiful, ecologically-unique lands we expect. The plan includes sites like clear cuts, logging roads, former mines, quarries and pits and pipelines. It even includes a Second World War weapons range that is believed to contain unexploded ordnance. The Department of National Defence warns against even entering the area due to potential danger from unexploded bombs, but the site is still included in the protected areas plan. So, how can we reduce the protected lands plan’s economic impact while also improving the ecological value of the lands it protects? Again, the provincial government’s comments about MPAs are instructive. We think that sounds a lot like our proposal for a “land swap” mechanism that would allow mining and quarrying companies, in exceptional cases only, to swap small amounts of protected land for unprotected land. This “means to consider future access” would make it possible to pursue some of the economic opportunities that are currently being blocked. Just as important, it would allow us to improve our protected areas by swapping out sites that clearly should not be in the plan for sites that better-meet our environmental goals. The overall amount of protected land, and its ecological value, would be increased. A win-win for the environment and the economy. The provincial government argues that MPAs are too inflexible, but MPAs are already significantly more flexible than the province’s protected lands plan. The rules for MPAs are customized to accommodate the unique circumstances of each site, and some existing and proposed MPAs even allow for fishing and oil and gas industry activity in order to balance conservation and economic goals. The protected lands plan, on the other hand, imposes a one-size-fits-all approach on the 782 areas it identifies for protection and allows no flexibility for resource industries. If the Government of Nova Scotia believes the federal process for choosing MPAs has not been perfect, it might consider the possibility that its own process for choosing protected lands was also not perfect. We all agree on the importance of conservation but a little flexibility in the protected lands plan would allow us to achieve both our environmental and economic goals – exactly what the province wants the federal government to do with MPAs. The Mining Association of Nova Scotia would like to respond to questions about how the mining industry takes care of water raised in “Department of Natural Resources delays gold exploration proposals” (March 29). Gold in Nova Scotia is generally not found in nuggets; it is found in tiny flecks, often microscopically small. Because those flecks are usually within rock, it has to be separated from the rock using various processes. Cyanide leaching has been the main gold extraction technology since the 1970s because it is more effective, safer and has less environmental impact than other options, such as mercury. Cyanide leaching is usually done along with a physical process like milling, crushing, flotation and gravity separation. Cyanide is a naturally occurring chemical that is found throughout nature. At least 1,000 species of plants, micro-organisms and insects are capable of producing cyanide. Foods such as coffee, almonds, lima beans and table salt all contain small amounts of naturally-occurring cyanide. 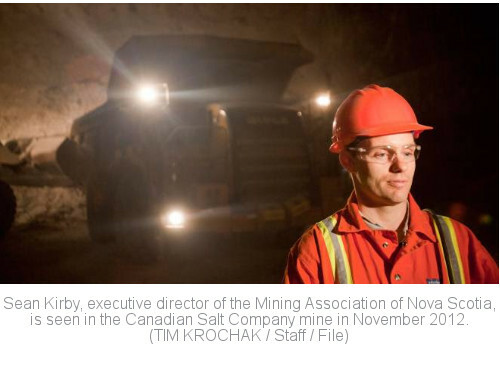 Sean Kirby is executive director of the Mining Association of Nova Scotia. The Mining Association of Nova Scotia has endorsed the latest Nova Scotia provincial budget, released on Tuesday. Sean Kirby, executive director of the mining association, said in a news release Wednesday the budget includes $700,000 for the resource development fund in 2018-19. The fund is expected to have seven funding options this fiscal year. First, the protected areas plan is harming the mining industry’s ability to create jobs and economic growth for Nova Scotians. Protected areas overlap 5.5 per cent of the province’s known mineral occurrences, and are harming or outright blocking numerous potential projects. The plan also disproportionately harms some parts of the province. For example, Cape Breton contains 30 per cent of the total amount of protected land in Nova Scotia, even though it only contains 19 per cent of the province’s land mass. The economies of Halifax County, Cumberland, Colchester and Guysborough are also particularly hard-hit. The warden of the Municipality of the District of Guysborough, discussing his council’s concerns with the plan, wrote in November that “there has never been an economic development potential assessment of any of the properties protected, or proposed for protection.” We clearly need to do a better job considering economic factors before protecting land. In the previous government’s rush to finish the plan – it was released Aug. 1, 2013, and an election was called on Sept. 7 – sites like clearcuts, logging roads, former mines, quarries and pits and pipelines were included. It even included a Second World War weapons range that is believed to contain unexploded ordnance. The Department of National Defence warns against even entering the area due to potential danger from unexploded bombs, but the site is still included in the protected areas plan. To help address these flaws in the plan, MANS is asking the provincial government to create a “land swap” mechanism that would allow mining and quarrying companies, in exceptional cases only, to swap small amounts of protected land for unprotected land. This would make it possible to pursue some of the economic opportunities that are currently being blocked. Just as important, it would allow us to improve our protected areas; to swap out sites that clearly should not be in the plan – an artillery range? – for sites that better meet our environmental goals. The overall amount of protected land, and its ecological value, would be increased. A win-win for the environment and the economy. A land swap mechanism would allow us to have dialogue about whether specific projects should be allowed to proceed; whether environmental and social concerns can be accommodated through discussion and compromise; or indeed, whether certain lands should simply remain protected. Unfortunately, the protected areas plan prevents that sort of dialogue and innovative thinking because it is completely inflexible – once land is protected, it must remain protected forever, regardless of all other considerations. Economic opportunities are forever lost, and we cannot lift protection on sites regardless of how poorly they fit the plan’s goals. In context of land-based protection, that sounds like land swaps. We all agree on the importance of protecting land, but we need to protect the right land. We should protect our most beautiful and ecologically-unique areas, and we should not protect lands of low ecological value and those that have significant economic potential. The protected areas plan is not perfect. Let’s work to improve it while also creating much-needed jobs and economic opportunity. The Mining Association of Nova Scotia (MANS) is calling on the provincial government to consider a land-swap arrangement involving protected areas that hold potential mining value. “When most Nova Scotians think of protected areas, they picture beautiful, pristine, natural lands,” said MANS executive director Sean Kirby, in the release. That statement is in reference to the former Staples Brook Range in Debert, a pending protected area, which was a satellite facility of the military camp during the Second World War and was used for weapons training. Grenades, mortars, anti-tank artillery and anti-aircraft munitions were used at the range, which is now considered a medium risk for unexploded explosive ordnance, according to the Department of National Defence (DND). In 2013, the DND Legacy Sites Program held information sessions in Debert to create awareness about the potential risks from unexploded ordnance (UXO) on the former military base. The Legacy Sites Program was initiated in 2005 to clean up UXO on former military bases. During the 2013 information sessions, a spokesperson said about 2,500 UXOs had been discovered around the Debert property in the previous year by a company hired by the DND to search them out. Other isolated finds had also been reported in the years prior to that. The DND also posted danger signs in 2012 warning people against entering the Staples Brook Range due to the potential for unexploded ordnance. Kirby said MANS recently released a report which details how the protected areas plan harms dozens of potential mineral projects and makes it harder for the industry to create new jobs for Nova Scotians. The report is entitled: A Better Balance: How we can protect jobs and land for Nova Scotians. And he suggested the provincial government could strike a better balance between protecting jobs and protecting land by adding a land swap mechanism to the protected lands regulatory regime. “This would allow mining and quarrying companies to access protected land by purchasing land of at least equal size and ecological value outside of the protected areas and arranging for it to be protected instead,” he said. And that in turn would ensure the total amount of protected land remains the same or grows, that the ecological value of protected lands remains the same or grows and Nova Scotians would continue to be able to access the minerals they need to create jobs and grow the economy. Kirby said proposed land swaps could be fully regulated by the provincial government on a case-by-case basis to ensure there is a net benefit to the province. The government could even require that the land being swapped in by the company be larger and/or more ecologically valuable than the protected land being swapped out,” he said. According to MANS figures, approximately 5,500 people are employed in the province’s mining and quarrying industry. Canada is a nation that is blessed with a rich supply of natural resources. It is one of our primary competitive advantages over other countries - but only if lands with mineral potential are available for exploration and development. As governments increase protected land, they are also removing access to prospective areas for mineral exploration. Without decision-making processes that balance economic development opportunities with conservation goals, Canada becomes a less attractive place to explore sending mineral companies elsewhere, along with the jobs and economic benefits. There is a diverse range of values associated with the use of land in Canada, including economic, ecological, cultural, spiritual and aesthetic. The Prospectors & Developers Association of Canada (PDAC) and the mineral exploration and development industry understand that there are times when the biodiversity or cultural values associated with a specific piece of land are so high that they must -- and should -- be protected. It is imperative that land-use processes take all of these factors into account to balance diverse goals and values. However, where things go awry is when land protection decisions are made without a sound grounding in scientific evidence, leading to protections that may not be necessary to support biodiversity. Or when land-use decisions are made based primarily, or even solely, on biological data, without mineral resource assessments and the consideration of mineral potential. As a result, mineral-rich lands are at risk of being withdrawn without the full economic consequences of those decisions being understood or thoroughly considered. Land protection decisions, in other words, are sometimes not made based on the full range of information available. The Mining Association of Nova Scotia (MANS) recently issued a new report about how the provincial government's Parks and Protected Areas Plan is hurting the mining industry and its ability to find new mines and create new jobs for Nova Scotians. MANS has argued that mineral potential and economic concerns were not sufficiently taken into account when lands were selected for protection by the previous provincial government. The evidence supports MANS' view. MANS' report shows that 5.5 per cent of all known mineral occurrences in the province overlap with protected lands, including 59 past-producing mines, quarries and pits, and sites that might otherwise be returned to production to create jobs for Nova Scotians. MANS' report identifies dozens of mineral deposits and potential projects that are impacted, or halted, by the protected areas plan. A decision-making process that included a comprehensive mineral resource assessment and adequately considered Nova Scotia's mineral potential would not have affected so many known mineral resources. The impact of the plan on economically-challenged parts of the province, and areas with long histories of mining, also suggests that economic concerns were not adequately considered. There is something wrong with a process that results in Cape Breton, where mining began 350 years ago, containing 30 per cent of all protected land in the province despite having only 19 per cent of the province's land mass. Counties like Cumberland, Colchester and Guysborough are also seeing their economic potential curtailed by the plan. A better process for choosing protected lands would have resulted in the economic impact being more fairly shared across the province. There are examples across Canada where land-use decisions balance land protection and biodiversity while also supporting job creation. In the Northwest Territories, the expansion of the Nahanni National Park Reserve resulted in the Prairie Creek Mine being situated in the middle of a national park. However, the federal government exempted the mine site so that the mine could proceed. Government also created a corridor through the protected land that allowed a road to be built to the mine. When mining operations are complete, the land will be reclaimed and likely become part of the park. In British Columbia, the Myra Falls mine is bounded by two different provincial parks -- it was given special zoning to operate by the provincial government because of its economic importance. According to the government of British Columbia, "constant monitoring ensures that environmental concerns and public safety are an integral part of the continuing mine program. It is interesting to note that not only are recreational activities not impeded by mining activities, but mine tours have become an important attraction for park visitors." The Myra Falls mine will also become part of the parks when reclaimed. PDAC and mining associations across the country support the need to protect certain lands for various purposes, including biodiversity. However, we also recognize the importance of balancing conservation goals with society's need for the economic benefits our industry generates, and the materials that we supply. Land-use decision-making processes must balance diverse goals and values and also be credible, inclusive and evidence-based. Glenn Mullan is president of the Prospectors & Developers Association of Canada. 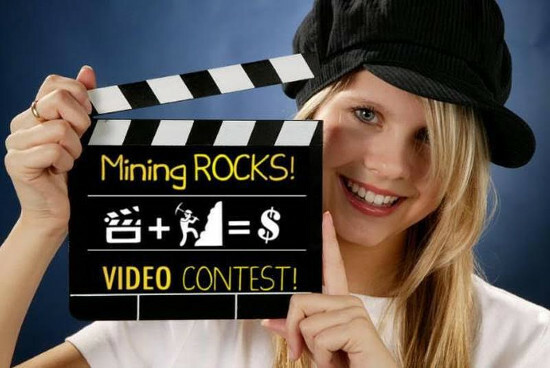 HALIFAX - Junior high and high school students across Nova Scotia are being reminded to act fast if they plan to enter the Mining ROCKS video contest. Sponsored by the Mining Association of Nova Scotia (MANS), the contest involves the production of short videos about mining and quarrying. The winners in five different categories will be awarded $1,000, with $500 going to the runner-ups. There is a total of $8,000 in prize money. Students who get their videos in by the end of Friday, however, will be entered into a draw to win two, $250 early-bird prizes. The Mining Association of Nova Scotia is encouraging junior high and high school students to get their video contest entries in by Friday to be eligible for the early bird prizes. The videos can be about virtually any aspect of mining and quarrying, including its economic importance, environment and reclamation, historical facts and beneficial end-uses of mining products. “It’s really wonderful each year to see the things that kids create as part of the contest and from our perspective its an opportunity for them to have some fun and learn a bit about the industry and to show off the skills that they have,” Kirby said. This is the fourth year that MANS has run the video contest. Kirby said they often hear from high school students who take home the prize money that they plan to use it for post secondary education. The final deadline for video entries is Feb. 23. Students upload their videos to the MANS website and the panel of judges, who are mainly independent of the industry, will pick the winners for the Best Junior High School Video, Best High School Video, Best Comedy and Best 30-Second Commercial. A fifth category, the People’s Choice, will be decided by the public through an online vote. The judges include Natural Resources Minister Margaret Miller, Truro Mayor Bill Mills, Colchester Mayor Christine Blair, Membertou Chief Terry Paul and a range of film and media experts. 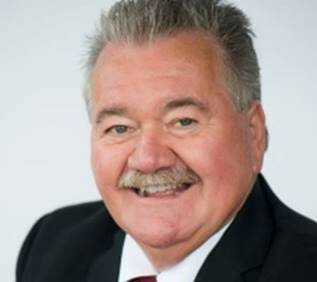 In a recent Cape Breton Post article, Rod Googoo, Chief of Waycobah First Nation, raised concerns about the possibility of a quarry being established on Kelly's Mountain in Victoria County. We appreciate Chief Googoo's concerns and welcome his contribution to a public dialogue that the Mining Association of Nova Scotia recently started by suggesting the provincial government's Parks and Protected Areas Plan should strike a better balance between protecting land and protecting jobs. We also appreciate comments by Senator Dan Christmas who highlighted Cape Breton's significant economic challenges in a recent speech. Both these highly-respected Mi'kmaq leaders are raising important considerations related to striking the right balance between social concerns and achieving our shared economic goals. This is the sort of dialogue MANS wanted to start because we are concerned that the protected areas plan is unnecessarily harming the province's economy, and even preventing potential improvements to protected areas. Kelly's Mountain is a case in point. It contains a deposit of over 2 billion tons of aggregate, which could create approximately 80 direct jobs for a half century if a quarry were allowed to operate there. That is a tremendous economic opportunity for Cape Breton and the province. However, because the deposit is completely overlapped by protected land, we cannot have a dialogue about whether the quarry should be allowed to proceed; whether Mi'kmaq concerns could be accommodated through research, discussion and compromise; or indeed, whether the land should simply remain protected. Who knows? Maybe the quarry could have been developed through a partnership between a mining company and the Mi'kmaq, which would have resulted in shared economic benefits and the utmost sensitivity to Mi'kmaq sites. Unfortunately, the protected areas plan prevents that sort of dialogue and innovative thinking because it is completely inflexible - once land is protected it must remain protected forever, regardless of all other considerations. The size of the Kelly's Mountain quarry would have been less than 1 per cent of the mountain's total area (see attached map). It is over three kilometres from the Fairy Hole sea cave that is, legitimately, an important site for the Mi'kmaq. However, three kilometres is well beyond any potential zone of impact from quarry activities. The original design for the quarry deliberately kept operations within the mountain so they would be hidden from outside view. While Kelly's Mountain already has development on it, such as homes and roads, there are no neighbours or anyone near the quarry site who would be disturbed by it. Again, the quarry would have created 80 jobs for approximately 50 years. We believe the Kelly's Mountain aggregate deposit could have been developed with full accommodation of Mi'kmaq concerns such that it could have been a win-win for everyone. However, until the protected areas plan allows for that sort of dialogue to take place, this tremendous economic opportunity and many others will be impossible to pursue or even meaningfully discuss. Is protected spaces plan impacting Cumberland County's economy? The Mining Association of Nova Scotia contends the province’s protected spaces plan is harming Cumberland County’s economy. The association is suggesting that by swapping land that it can support the economy while protecting important natural spaces. The mining association recently released a report detailing how the plan harms dozens of potential mineral projects and makes it harder for the industry to create new jobs for Nova Scotians. Its report suggests Cumberland County contains 7.1 per cent of the total amount of protected land in Nova Scotia - more than seven times as much as some other counties. The county contains a total of 51 overlaps between protected areas and known mineral occurrences. The mining association contends these overlaps make it harder, or outright prevent, exploration and development of all that potential wealth. Some other counties contain far fewer, or even zero overlaps. One of the overlaps is the Canfield Creek copper deposit, approximately five kilometres south of Pugwash. Problem is the copper deposit is adjacent to, and runs into, the Pugwash Estuary - a protected area. This makes the protected part of the deposit inaccessible and reduces the deposit’s potential value. It also makes it harder to attract investment to the project because of uncertainty about whether it would be possible to get permits to operate a mine close to, but outside, a protected area. Several nearby mineral deposits are also overlapped by protected land, including deposits of gypsum, iron and a historical copper mine. The mining association is proposing the use of a land swap mechanism to swap out a small amount of protected land in exchange for land of at least equal size and ecological value outside the protected area. This would improve the business case for the Canfield Creek deposit. Kirby said this would ensure that the total amount of protected land remains the same or grows; the ecological value of protected lands remains the same or grows; and Nova Scotians would continue to be able to access the minerals they need to create jobs and grow the economy. Cumberland North Conservative MLA Elizabeth Smith-McCrossin believes there is a way to protect space while allowing for the extraction of minerals in a responsible manner. Writer and naturalist Harry Thurston does not agree. “Mr. Kirby is being deliberately misleading in making this proposal,” said Thurston, who is a member the Cumberland Wilderness that’s working to protect land on the Isthmus of Chignecto. “You can’t mix and match this land that has been protected for other areas that are supposedly of equal ecological value. The fact of the matter is there was a rigorous scientific process that identified the land that needed to be protected. It has no basis in science. Thurston said the land protection process has been ongoing for more than 20 years through a series of governments of all political stripes and is supported by a solid majority of Nova Scotians. Chrissy Matheson, a media relations advisor with the province, said protected areas are a response to biodiversity loss caused by human activities and are being recognized globaly for their role in protecting nature. Matheson said the province understands the concerns raised by the mining association regarding the potential impacts of protected areas on the mineral industry. “Through the parks and protected areas planning process we have taken significant steps to avoid adversely impacting mineral interests,” she said. “Benefitting from consultations with industry, MANS, and others, more than 96 per cent of mineral rights were avoided when identifying new protected areas, and of those areas overlapped by protection proposals, the majority were identified in a unique category so that they would only be protected if mineral rights expire. Land-swap proposals are not being considered by government at this time. Recently, the Mining Association of Nova Scotia (MANS) proposed changes to the Province of Nova Scotia’s Parks and Protected Areas Plan. The Municipality of the District of Guysborough (MODG) expressed concern with the approach of the Nova Scotia Government when the Protected Area targets were set in 2009. The approach taken to meet these targets have done little to assuage these concerns. One of the key responsibilities of any Municipal government is related to land-use planning. We are one of the very few Nova Scotia municipalities that have completed a comprehensive Land Use Strategy, achieved through broad consultation with our residents. Intuitively, one would think there would be some linkage to the selection of areas identified for protection. Ironically, one of the areas originally proposed for protection was within the 14,500 acre Melford Industrial Land Reserve – owned by the Province of Nova Scotia! Economic life in Nova Scotia’s rural municipalities is particularly challenging. We are experiencing, generally, outward migration, which makes it increasingly difficult to both finance and sustain the services expected by citizens of a modern society. This consideration was seemingly lost upon the architects of the Provincial Strategy. In the rush to meet artificially established targets we have, seemingly pursued the “low-hanging fruit” – that is those areas that avoid public conflict or comment. It was interesting to read recent comments from Government officials touting the process utilized to identify the most prospective areas for protection – “environment, ecological values of the protected areas, biodiversity values, recreation, wildlife, social aspects, natural resources planning, and the potential for economic development”. If we were to look at these goals individually we have clearly missed the mark and continue marching forward based on the same flawed process. Among protected areas within MODG there is little diversity of landscapes; recreational usage has been negatively impacted; traditional community / social aspects have suffered and most glaringly there has never been an economic development potential assessment of any of the properties protected, or proposed for protection. In fact, the only visible assessment of economic impact is the avoidance of protecting lands with standing timber. Our Council has proposed areas of old-growth forest for protection to no avail. We understand the importance of the forest industry in Nova Scotia and also the commitment of the Provinces wood fiber from Crown Land. This commitment has seemingly had a significant impact on areas proposed for protection. Barren coastal areas do not tend to support forest growth. The MODG strives to achieve a balance between environmental stewardship and economic growth. We were the first municipality in Canada to take a majority ownership stake in a windfarm – producing green energy for Nova Scotian’s. We have won Provincial and National awards for our stewardship. Our residents – the people that actually live in our communities, are our greatest stewards of the environment. Their voices are not being heard. NGO’s and special interest groups seem to have much greater influence on the direction of government policy. We are fortunate to live in a beautiful part of Nova Scotia. We have vast, open landscapes that are simply stunning. Historically, our economy was built on the resource sector – forestry, fishery and mining. Declines in all of these sectors has resulted in dramatic population decline. Mineral exploration and development offers a significant opportunity to address the population decline through its root-cause – employment. It is for these reasons that the MODG stands with the MANS in its call for the Province of Nova Scotia to revisit it’s policy related to Parks and Protected Lands and strike a balance between land protection and the elimination of economic opportunities in rural Nova Scotia. The MANS proposal offers an opportunity to do just that! Valid concerns have been raised over the Nova Scotia government’s Parks and Protected Areas Plan. In an opinion piece that appeared in the Guysborough Journal earlier this month, the Mining Association of Nova Scotia’s Executive Director Sean Kirby noted that the plan, as constituted, could cost upwards of 350 jobs lost in the province by preventing mineral exploration and development in protected areas. That could include $16 million to $19 million in lost wages per year and $27 million to $29 million annually in lost economic development. This could have a pronounced effect in Guysborough County where no less than eight protected areas overlap with areas of known mineral occurrences, according to the Mining Association. A solution offered by the Mining Association would be a land swap mechanism. Under this scenario, mining and quarrying companies could access protected lands by, “purchasing land of at least equal size and ecological value outside protected areas added to the Plan which would allow companies to be purchased at equal size and ecological value outside protected areas and arrange for it to be protected instead.” These swaps would be done on a case-by-case basis and would be fully regulated, according to the Mining Association. Indeed MODG has invested in a wind farm near Canso and has consulted regularly with residents regarding economic development projects. After all who are better caretakers of the environment in MODG for now and for future generations than its residents? MODG supports the Mining Associations plan to ensure environment is protected while carefully allowing economic development in protected areas. We agree with that view. Protecting our beautiful lands in Guysborough County is of immense value to all of us. We think the province should have another look at its Parks and Protected Lands Plan with an eye to a more balanced approach. We often hear governments these days talk about how the environment and the economy can exist simultaneously. Adjusting the Plan to provide balance and reflect the interests of rural communities such as those in Guysborough County would be a good way to show they mean what they say. A campaign by the Mining Association of Nova Scotia to loosen protections on the province's wilderness areas is getting mixed reviews. After releasing a 67-page report nine months ago on the economic consequences of blocking exploration and mining activity on the 13 per cent of this province's land mass that the government is on track to prevent, the association has begun sending letters to county councils and newspapers outlining their findings. "We are doing our best to work with the (protected areas) plan," said Sean Kirby, executive director of the mining association. "We support its ecological goals and we are just advocating for small changes that would allow for economic development as well." The association is calling for the province to change the act that currently prohibits any mineral exploration or development on wilderness areas. The proposed changes would allow, on a case-by-case basis, the government to determine whether a mining company could purchase land outside a protected area of equal or greater size in ecological significance to one it wants to swap inside a protected area. The report claims that by preventing mineral exploration and mining development on lands already protected, the province is missing out on $22 million a year in economic activity. "Former mines, quarries and pits have great potential value and are often low-hanging fruit for the modern industry," reads the report, which highlights 52 former mines, quarries and aggregate pits currently located inside protected areas. Not everyone is keen on the proposal. Forest ecologist Brenda Crossland said Friday that the point of having permanent protected areas is to allow them to return to a natural state. "There are components of the forest that take centuries to develop so we need long-term protection," said Crossland. "We can't be playing musical chairs and just swapping protected areas in and out of a landscape." Disturbed Acadian forest, she said, takes centuries to recover. The vast majority of the province has been at some point clear cut or cleared for farmland. Even much of the areas now protected, said Crossland, are still recovering from past disturbances. That means that over centuries, longer-lived species of trees like maple, pine, red spruce and oak, take hold and grow to maturity - providing habitat for wildlife as they become old-growth forests. Protected areas are spread across the province disproportionately - with more lands protected in counties with lower population densities. Fifteen per cent of Victoria County in northern Cape Breton is protected by the province and, when combined with the portion protected federally by Parks Canada, a total of 38 per cent of the county is off-limits to development. "That's enough," said Bruce Morrison, county warden. Victoria County council is currently considering a letter received from the mining association and deciding whether to support their proposal. Morrison said that "in theory" he likes the mining association's proposal. Meanwhile, the Municipality of the District of Guysborough is having the same discussion. "We're supporting the Mining association," said Warden Vernon Pitts on Friday. "There hasn't been a mechanism in place whereby a company or a municipality could swap out land." Pitts said that Guysborough is on track to have 18 per cent of its land mass become a protected area and that while the municipality supports the environmental goal of the program it also has to care for the economic needs of its citizens. Despite the report having been released nine months ago, the provincial government has made no moves to publicly acknowledge or support its suggestions. Kirby said that with negotiations at a standstill the association began to approach county councils and newspapers directly. For his part, Raymond Plourde said the association's proposal is a political and environmental bomb. "The province is not going to touch this with a 10-foot pole," said Plourde, wilderness co-ordinator for the Ecology Action Centre. "It would require them to to open up the whole Wilderness Protection Act and substantially weaken it. The blowback would be huge. The entire purpose of the act is to protect important natural areas from this sort of development." Re: "Driven to extraction," (Oct. 28 opinion piece by Joan Baxter). One of the biggest challenges the mining and quarrying industry faces is outdated perceptions about it, such as those found in this article. No one would judge today's auto industry by its safety and environmental standards of the 1950s, yet people do sometimes judge mining by what it was like in the distant past. The reality is today's mining industry is a sophisticated, high-tech business that is vital to our economy and way of life. We set the highest standards for environmental management. After all, mining companies are made up of people who care as much about the environment as anyone else and who also want to leave a better world for their children. Reclaimed mines and quarries are now beautiful natural spaces, such as at Point Pleasant Park in Halifax, Acadia Park in Westville and Kiwanis Park in Truro. Reclaimed sites are also used for other purposes such as the Cabot Links golf course in Inverness, the Pioneer Coal Athletics Field in Stellarton and the Dartmouth Crossing shopping centre. Our educational website - www.NotYourGrandfathersMining.ca - explains in layman's terms how the industry works today and how it is stringently regulated by the provincial government to ensure the environment is properly protected. Everything Nova Scotians want - from excellent health and education systems to opportunities for our kids to stay home instead of moving away - ultimately depends on creating jobs and growing our economy. Our industry employs 5,500 Nova Scotians and generates $420 million per year in economic activity. Ms. Baxter took particular issue with mining coal and gold, but consider this: Three major new mines are opening here in 2017 - one for coal and two for gold. They represent hundreds of new jobs for Nova Scotians and hundreds of millions of dollars in new investment in the province. The average wage in our industry is $55,000 per year, the highest of any resource industry and on par with the province's financial services sector. These are excellent jobs, mostly in the rural areas that are in such need of economic opportunity. We also need the materials we take from the ground to support our modern society. For example, coal is an essential fuel in Nova Scotia, and in most jurisdictions around the world. It generates over half of Nova Scotia's electricity and it is helping keep our electricity rates from rising further. While Nova Scotia's use of coal is declining, the electricity it provides cannot be replaced easily or quickly by any other source. Coal is also used in manufacturing products such as steel and cement. Gold has a wide range of uses, including in virtually all electronics. Just imagine a world without computers, cell phones and electronic medical equipment. Gold also has other medical applications, including in diagnostic procedures and treating certain cancers. Mining and quarrying is an environmentally responsible industry that provides essential materials to society. It is not your grandfather's mining industry. The Mining Association of Nova Scotia has just released a new report about the provincial government’s Parks and Protected Areas Plan, which highlights, among other things, how the Plan is harming the industry in Cape Breton. Based on a plan established by the previous provincial government, Nova Scotia has already protected over 12 per cent of the province’s land mass and the government intends to bring the total to 13 percent. This would put Nova Scotia in second place nationwide in removing land from economic usage, despite being the second smallest province and a province with some of the biggest economic and demographic challenges. Our report shows that the plan is potentially costing Nova Scotians 291 to 356 jobs by preventing mineral exploration and development in protected areas. That is $16 million to $19.6 million per year in lost wages and $22 million to $27 million in foregone economic activity each year. The full report, entitled “A Better Balance: How we can protect jobs and land for Nova Scotians,” is available online at: http://tmans.ca/protected-lands. Cape Breton’s economy is arguably harmed more by the plan than any other area of the province. Cape Breton contains 30 percent of the total amount of protected land in Nova Scotia, even though it only contains 19 percent of the province’s land mass. That is a higher percentage of protected land than any other region. Inverness County contains more than 11 times the percentage of protected land as some other counties, such as Pictou, Kings and Antigonish. Victoria County contains 15 times the percentage of protected land as some other counties. In fact, Victoria has five times as much protected land as Pictou, Kings and Antigonish combined. Also, Cape Breton has 154 known mineral occurrences that are overlapped by protected land, far more than any other region. These overlaps make it harder, or outright prevent, exploration and development of all that potential wealth on the island. While the mining and quarrying industry supports protecting natural lands for future generations, we also believe the plan needs to strike a better balance between protecting land and protecting jobs. Beautiful, natural lands are important, but so are job creation, economic opportunity and government revenues to pay for programs such as health and education. We need a better balance. While Nova Scotia’s mining and quarrying industry supports protecting natural lands for future generations, we also believe the provincial government’s Parks and Protected Areas Plan (the Plan) needs to strike a better balance between protecting land and protecting jobs. Beautiful, natural lands are important, but so are job creation, economic opportunity and government revenues to pay for programs such as health and education. The Mining Association of Nova Scotia has just released a new report which shows that the Plan is potentially costing Nova Scotians 291-356 jobs by preventing mineral exploration and development in protected areas. That is $16-$19.6 million per year in lost wages and $22-$27 million in foregone economic activity each year. The full report, entitled “A Better Balance: How we can protect jobs and land for Nova Scotians,” is available at: tmans.ca/protected-lands. Mining and quarrying is a large and important industry in Nova Scotia – it employs 5500 people and generates $420 million per year in economic activity. However, it also faces significant challenges, including the loss of over 800 jobs since 2008 and the highest tax/royalty burden of any mining industry in the country. The Plan is adding to the industry’s challenges by shrinking the amount of land available for exploration and development. This reduces our ability to find and develop new deposits; to create new jobs for Nova Scotians; and to contribute more to government revenues. Everything Nova Scotians want – from excellent health and education systems to opportunities for our kids to stay home instead of moving away – ultimately depends on creating jobs. Proposed land swaps would be fully regulated by the provincial government, on a case-by-case basis, to ensure there is a net benefit to the province. The government could even require that the land being swapped in by the company be larger and/or more ecologically valuable than the protected land being swapped out. This creates the potential to not only maintain but improve the government’s portfolio of protected lands, creating a win-win for both the economy and the environment. The provincial government’s support of our industry has contributed to a banner year for mining in Nova Scotia. Three major new mines are opening in 2017, representing hundreds of new jobs for Nova Scotians and hundreds of millions of dollars in new investment in the province. A little flexibility in the Plan would help us find more new mines and create more jobs for Nova Scotians. While we all appreciate the importance and beauty of natural lands, and everyone wants to protect the environment, we also need to protect jobs and opportunity. We need a better balance. It has been almost three and a half years since the Ivany Commission issued its "Now or Never" report about building the province's new economy. As part of assessing what's been done in response, I am writing to offer a case study of how its recommendations have been implemented by the provincial government to help the province's mining and quarrying industry grow and create jobs for Nova Scotians. The Commission said traditional rural industries, like mining and quarrying, "will provide the essential foundations for Nova Scotia's rural economy...The basic viability of many of our rural communities hinges on whether these sectors can create more and better jobs and generate more wealth." The Commission also highlighted that the government could do more to support the mining industry by providing "a modern and responsive legislative framework to support and promote sustainable mineral resource management." The government followed through on that recommendation by overhauling the province's outdated Mineral Resources Act - the first comprehensive review of the Act in a quarter-century. The resulting legislation, which was passed in 2016, struck the right balance between cutting red tape and supporting job creation, while also holding the industry to the highest standards in public consultation and reclamation. The government has made several other policy decisions that are also very important for the industry. The pre-election budget proposed extending to mining and quarrying the same fuel tax rebate that other resource industries get. Provincial fuel tax is supposed to help pay for public roads and highways by charging the vehicle owners who use them. The government gives other resource industries a tax rebate for fuel used in vehicles that do not go on public roads, such as fishing boats, farm tractors and forestry harvesters. Our industry has been excluded from the rebate since the 1980s even though most of our vehicles stay on mine and quarry sites. We understand the government will again include this policy change in its upcoming budget, finally resolving this long-standing issue. Despite the province's fiscal challenges, the government has continued its Mineral Incentive Program, which supports prospecting and exploration. If we don't do exploration today, we won't have mines tomorrow, so the government's ongoing support of this program is vital. The Liberals promised during the election campaign to build on the program's success by establishing a Mineral Resources Development Bank to increase prospecting, mineral-related research and educational opportunities for young people. While each of these policy decisions is important in and of itself, combined they suggest an important change in the provincial government's attitude towards the industry. Instead of letting the Mineral Resources Act become ever-more burdensome and obsolete, the government took the initiative to modernize it. Instead of continuing to treat our industry unfairly compared to other resource industries, the government is adding us to the fuel tax rebate program. Instead of letting prospecting and exploration wither away during the economic downturn of recent years, the government is making strategic investments that will lead to more jobs and opportunity. The government's support has contributed to a banner year for mining in Nova Scotia. Three major new mines are expected to open in 2017, representing hundreds of new jobs for Nova Scotians and hundreds of millions of dollars in new investment in the province. The success of these projects, including the return of gold mining to Nova Scotia, is generating world-wide interest in our mineral potential. This becomes a virtuous circle, in which opening a new mine leads to more exploration, which leads to opening more mines. The provincial government's post-Ivany approach to our industry has focussed on making smart, strategic investments and policy decisions, and we are seeing the benefits. We are opening new mines, creating new jobs, and generating additional tax and royalty revenues to pay for programs like health and education. That is the sort of economic renewal that Ivany envisioned. SYDNEY, N.S. — Two Cape Bretoners have been added to the judging panel for this year’s Mining Association of Nova Scotia ‘Mining Rocks!’ video contest. Membertou Chief Terry Paul and Victoria County Warden Bruce Morrison will be among 12 judges for the contest that encourages youth in the province to produce short videos about mining and quarrying. “I am very pleased to be a judge for the video contest and to work in partnership with the mining association on educating students about the industry,” said Paul, in a press release. Other judges included Lloyd Hines, the Minister of Natural Resources, and Martha Cooley, executive director of the Atlantic Filmmaker Cooperative. “We are delighted to have such an impressive and diverse group of people serving as judges in this year’s contest,” said Sean Kirby, executive director of the mining association, in a press release. The contest — open to all junior high and high school students in Nova Scotia — determines winners in five different categories. January 13 is the early bird contest deadline and students who submit entries by that date could win one of two $250 prizes. The final deadline for entries is Feb. 28. Go online to www.NotYourGrandfathersMining.ca/contest for more contest information. I am writing in response to an article about Davis Day which raised questions about the mining industry’s safety record (“Union leader puts Donkin mine owner in Davis Day spotlight, June 13, Cape Breton Post). As an industry, we believe the most important thing to come out of a mine is the miner, and our modern safety record reflects this. Injury rates in Nova Scotia's mining and quarrying industry have been reduced 90 per cent in the past two decades, making mining one of the safest industries in Nova Scotia today. We are committed to continuous improvement in mine and quarry safety – and to making sure a tragedy like Westray never happens again. Nova Scotia's mining and quarrying industry employs 5,500 Nova Scotians, mostly in rural areas, and it is great news for Cape Breton that the Donkin coal mine will create 135 more jobs. Just as we would not judge today’s auto industry by its safety and environmental standards from a half-century ago, we also should not judge today’s mining industry by outdated perceptions. Visit www.NotYourGrandfathersMining.ca to learn more. In May 2014, then-Finance Minister Diana Whalen wrote to MANS executive director Sean Kirby, describing the industry as “critical to the success” of Nova Scotia’s economy and assuring MANS the government would fulfil during the final three years of its current term its election promise to phase in a fuel tax rebate for off-road vehicles used in mining and quarrying operations. In November 2015, then-Natural Resources Minister Zach Churchill promised the industry would start receiving the rebate in 2015. However, the government’s 2015 budget did not make the change and this week Finance Minister Randy Delorey’s budget omitted it. “The government’s promise to support the industry and help us create jobs, particularly in rural areas, was clear and unequivocal. But it has not made good on it,” Kirby told the Chronicle Herald. “We haven’t forgotten our commitment to the mining industry to remove the tax. We will continue our conversations with industry and when the province is in a sustainable fiscal position this is something that can and will be considered,” she told the Chronicle Herald. In a statement via email, Department of Natural Resources Minister Lloyd Hines said the government was “totally committed” to Nova Scotia’s mining industry. “When the time and our fiscal capacity is there and it is clear that we can do this, we will do it,” Hines said. Kirby said the industry, which he said employs 5,500 people, faces significant challenges including a reputation as a poor place to invest. The rebate would save the industry $2.6 million annually. He said that according to 2013 government-commissioned research, Nova Scotia’s mining and quarrying industry lost approximately 800 jobs in the previous five years, while its economic output shrank by $80 million per year. Nova Scotia's minister of natural resources and a mining industry lobby group say changes coming to the Mineral Resources Act are meant to modernize a law that hasn't been changed in 25 years and strike a balance between economy and environment. Nova Scotia's law amendments committee met on Monday morning to listen to public feedback about Bill 149 — an overhaul of the act that regulates mineral resource management in the province. For Sean Kirby, executive director of the Mining Association of Nova Scotia — the industry's main lobby group — the overhaul is welcomed. "To us, it's really just about balance. Every time we remove land from economic usage in the province, we're making it harder for industries like ours to create jobs for Nova Scotians," Kirby said. Environmental groups said at the meeting the bill doesn't go far enough to protect privately protected lands and doesn't address quarry production. But Natural Resources Minister Lloyd Hines, who introduced the bill, said the focus needs to be about mineral resources and less about environmental impacts. The overhaul already overlaps enough with "very robust" environmental legislation that covers those concerns, he said. "Much of the stuff that we're doing is aimed at streamlining the process, to reduce red tape, to essentially get rid of some of the cumbersome things in the 80s," Hines said. That streamlining includes going from annual mineral licence renewals to doing renewals every two years, Kirby said. A new focus on public consultation introduced in the bill is also supported. "We believe that all former mines need to be fully and properly reclaimed and that the cost of it has to be borne by the mining companies and the taxpayers should never be on the hook for reclamation," Kirby said. Mining exploration licences and leases are given out to companies and prospectors by the Natural Resources Department. A mine can't advance until after a lengthy environmental assessment. The Sierra Club Canada Foundation wants quarries included in the Mineral Resources Act. Though a technical difference, crushed rock and sand is very different from the minerals regulated in the act, Kirby said, and legislation should be kept separate. Under current legislation, quarries are a matter for the Environment Department. To shift that from one department's legislation to another wouldn't be worth it because "it just isn't how it ever has been regulated in this province," Kirby said. Hines said the act should remain about exploration. "It is possible for an exploration to include private land," Hines said. "Unless you consented, there's no work that can be done on the private land." The act also gives the minister of natural resources the ability to withdraw mineral rights and to decline exploration licences. LOCAL YOUTH ON WHY MINING ROCKS! More than a few Halifax-area students have heavier wallets because of their newfound expertise with making videos about mining. Four high school and middle school students from the Halifax Regional Municipality took home prizes in the Mining ROCKS! Video Contest, presented by the Mining Association of Nova Scotia. Meagan Brown from Charles P. Allen High School and Jasmine Metzler from Sackville Heights Junior High School each took home $1,000 for their videos. Brown’s video won for “Best High School Video” and features little-known facts about the mining industry in Nova Scotia and Nova Scotian companies that produce materials for everyday items. Levi Marshall from Sackville High School was the biggest winner of the day, winning a first-place prize in the “Best Comedy” category and runner-up in the “Best 30-second commercial category for two separate videos. Both prizes netted Marshall a total of $1,500. Jonah Larsen from Citadel High School won second place in the “People’s Choice” award, winning $500. The contest’s panel of judges included Lloyd Hines, minister of Natural Resources, Membertou Chief Terry Paul, as well as film and media professionals. The contest awarded $8,000 in prize money for students across the province. Hines said he was looking for videos that showed the importance of minerals for young people, including the minerals in smartphones and other everyday items. In total, 22 teams of students submitted videos to the contest. There were 1848 votes for the People’s Choice Award. Kirby said this is part of a broader initiative to educate the public on the importance of mining to the economy and to dispel some of the misconceptions about the industry. According to the Mining Association of Nova Scotia, the mining and quarrying industry in this province is a key creator of jobs and prosperity for Nova Scotians, providing nearly 5,500 jobs, mostly in rural areas. The industry also contributes $420 million to the province’s economy each year. To watch all the winning videos, visit: http://notyourgrandfathersmining.ca/2016-winners. Okay, there was a cash incentive. But the enthusiasm’s genuine. The Mining Association of Nova Scotia asked high school students to research a brief topic on mining and quarrying, then find a way to portray it on video. The results were not only informative but inventive and entertaining. And they brought contest winners a total of $8,000 in prizes, MANS announced April 11. Now in its second year, Mining ROCKS! pulled in 22 entries from students across the province. Judges included film and media pros as well as Minister of Natural Resources Lloyd Hines and Membertou Chief Terry Paul, among others. Another 1,848 people cast votes for the People’s Choice Award. The winners (shown here) use wide-ranging approaches to explain, illustrate, dramatize and emphasize the many uses of minerals and the industry’s importance to Nova Scotia. This is, after all, a province where coal mining dates back to 1672—and coal’s a relative newcomer. MANS says Canada’s oldest mine, possibly North America’s oldest, would be Davidson Cove, where Mi’kmaq extracted jasper and agate for arrowheads and cutting tools 1,500 years ago. Mining and quarrying now provide around 5,500 jobs and put $420 million into the provincial economy each year. As for the Ontario Mining Association, it now has judging underway for its student video contest, So You Think You Know Mining. Winners will be announced June 1. See the winning entries for Mining ROCKS! This article was posted by Greg Klein - Resource Clips on Monday, April 11th, 2016 at 5:42 pm. GLACE BAY - The people have spoken. Bryah Boutilier, a Grade 10 student at Glace Bay High School, received a $1,000 cash prize and the people's choice award for her 30-second video "Mining For Our Future," in the Mining Association of Nova Scotia contest, Mining Rocks. Boutilier said she was "overly excited" when she heard the news. "I had no idea I was going to win." And finding out it was a people's choice award made it even better. She immediately told her grandfather Dave Boutilier, a former miner, who is featured in her video. The Mining Rocks video contest was open to all junior high and high school students in Nova Scotia. Students were asked to produce a short video about mining and quarrying. The contest received 22 video contributions from Nova Scotia students. There were 1,848 votes for the people's choice award. The video includes old photos from coal mines and a short interview with her grandfather. Boutilier also won $500 in an early bird draw. The video was chosen by random draw from the videos submitted by the Jan. 15 early bird deadline. In an earlier story in the Cape Breton Post, Boutilier said she first heard about the contest in her science class. With family roots in the mining industry, including both grandfathers – Dave Boutilier and the late Bennie Benoit – she knew she had lots of pictures and other material for a video. She said her focus for the video was to promote mining to the younger generation. 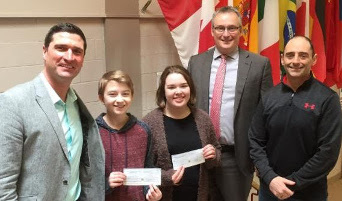 Minister of Transportation and Infrastructure Renewal Geoff MacLellan was at Glace Bay High School Monday to present Boutilier with the cheque for $1,000 on behalf of the mining association. MacLellan, who is also the MLA for Glace Bay, said he watched the video and enjoyed it. "It certainly represents our past and everything that mining has done for us," he said. He described Boutilier's grandfather Dave Boutilier as a true gentleman. "I know he'd be very proud of his granddaughter Bryah for really celebrating who and what we are. "The fact people have recognized the value of this video and rewarded Bryah as such is a great thing," he said. "We want to spread that word to our young people here in Glace Bay and in Cape Breton Island about what mining has meant." In a press release, Sean Kirby, executive director of the mining association, said students from across the province created incredibly clever and interesting videos about mining and quarrying. “We congratulate all the students for their excellent work and thank them for participating in the contest," said Kirby. Natural Resources Minister Lloyd Hines and Membertou Chief Terry Paul were contest judges along with film and media professionals. Go to http://notyourgrandfathersmining.ca/2016-winners to view all of the videos. GLACE BAY - The Mining Association of Nova Scotia (MANS) awarded $500 to a Glace Bay High School student Friday when she won the “early bird” draw for the Mining ROCKS! video contest. © Sharon Montgomery-Dupe - Cape Breton Post. 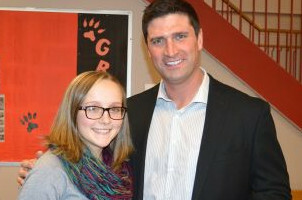 Nova Scotia Minister of Transportation and Infrastructural Renewal Geoff MacLellan presents a cheque for $500 to Glace Bay High School student Bryah Boutilier, an early bird prize in a Mining Association of Nova Scotia contest. Bryah Boutilier, a Grade 10 student of GBHS, was presented $500 as a result of her video, “Mining for our Future." The video was chosen by random draw from the videos submitted by the Jan. 15 early bird deadline. "I am so happy," she said. "I can't believe I won the early bird prize." Boutilier said she first heard about the contest in her Science class. She said with family in mining - including her grandfathers Dave Boutilier and the late Bennie Benoit - she knew she had lots of pictures and other material for a video. She said coal mining has helped support past families so why couldn't it support families in the future? "I did all coal mining pictures promoting mining for the young generation." Boutilier said she plans to spend this prize money when she goes to Disney World in March with the high school band. The Mining Rocks Video Contest is open to all junior high and high school students in Nova Scotia. Students were asked to produce a short video about mining and quarrying. Sean Kirby, executive director of MANS, said they wanted students to have fun with it and to be creative. MLA Geoff MacLellan presented the check to Boutilier on MANS’ behalf, Friday. "It was a great opportunity for a Glace Bay student to send in a submission about our local heritage, it's a great tie in to our mining past with her grandfather and the future that holds in store with Donkin mine." MacLellan said he encourages students to take part. He said it's great for any young student and young adults in the local area to understand our mining heritage and how it's shaped our future to where we are today. He said it's important history to hang on to. "It's great to have young people who weren’t around when the mines were up and running to understand the engine that drove the local economy and kept families fed and looked after," he said. "I think it’s a good contest to get word out there and have students doing research on their local area and the impact mining has had on our past, our present and certainly in the future." MacLellan said he has lots of interest and communication with MANS. He said he is interested in all the mines in Nova Scotia. "Now with Donkin progressing in the right direction, we've had continuing conversations with MANS to keep in touch with what's going on there." The final deadline for video entries is February 26. The winners in five different categories will be awarded $1000, with $500 going to the runner-ups. Nova Scotia’s mining industry believes the most important thing to come out of a mine is the miner, and our safety record reflects this. Injury rates in the mining and quarrying industry have been reduced 90% since the Westray public inquiry report was released in 1997, and are now lower than other comparable Nova Scotia industries. Today, mining is one of the safest industries in the province. The mining and quarrying industry is regulated by Nova Scotia’s Occupational Health and Safety Act, which sets stringent standards for workplace safety, provides for government inspections to ensure compliance, and penalties/fine for infractions. We work every day, in partnership with the provincial government, to make our workplaces safer for our colleagues, friends and loved ones. I am writing to respond to recent articles and letters about the opening of the Donkin coal mine. Mining has played an important role in the development of Cape Breton through the years. Nova Scotia coal was first mined in Sydney in 1672 and the first commercial coal mining venture in Canada was established by the French in 1720 in Cow Bay, Cape Breton, to supply the Fortress of Louisbourg. This long history also underscores how different today’s mining industry is from the past. Mining today is a safe, environmentally-responsible industry that is essential to our modern way of life. The materials we mine make possible virtually everything in our daily lives, from homes, schools and hospitals to electronics to safe, ice-free roads. We have reduced our injury rate by 90% in the past two decades, making mining one of the safest industries in Nova Scotia. We set the highest standards for environmental management and protection. Reclaimed mines and quarries are now beautiful natural spaces throughout the province. They are also used for other purposes such as Cabot Links, which is both a beautiful, world-class golf course and an important economic anchor for the Inverness area. Coal is an essential fuel in Nova Scotia, and in most jurisdictions around the world. It generates approximately 60 percent of Nova Scotia’s electricity and is also used in manufacturing vital products such as steel and cement. While Nova Scotia’s use of coal is declining, the electricity it provides cannot be replaced easily or quickly by any other source. Coal plays a major role in keeping our lights on, and in powering places like hospitals and schools. Mining coal here, instead of importing most of it as we do now, makes it less expensive and helps keep our energy bills down. It reduces the overall environmental footprint of the coal we use by eliminating the need to ship it from South America. It creates jobs and much-needed economic activity for the province – Donkin will create about 120 jobs in Cape Breton, adding to the 5500 Nova Scotians the mining industry already employs. I am writing to respond to recent articles and letters about the opening of the Donkin coal mine. Today’s mining industry is a safe, environmentally responsible industry that is essential to our modern way of life. The materials we mine make possible virtually everything in our daily lives, from homes, schools and hospitals to electronics and safe, ice-free roads. We have reduced our injury rate by 90 per cent in the past two decades, making mining one of the safest industries in Nova Scotia. We set the highest standards for environmental management and protection. Reclaimed mines and quarries are now beautiful natural spaces such as Acadia Park in Westville, Kiwanis Park in Truro and Point Pleasant Park in Halifax. They are also used for other purposes such as Cabot Links golf course in Inverness, the Pioneer Coal Athletics Field in Stellarton and the Dartmouth Crossing shopping centre. Coal is an essential fuel in Nova Scotia, and in most jurisdictions around the world. It generates approximately 60 per cent of Nova Scotia’s electricity and is also used in manufacturing vital products such as steel and cement. While Nova Scotia’s use of coal is declining, the electricity it provides cannot be replaced easily or quickly by any other source. Coal plays a major role in keeping our lights on and in powering places like hospitals and schools. Mining coal here, instead of importing most of it as we do now, makes it less expensive and helps keep our energy bills down. It reduces the overall environmental footprint of the coal we use by eliminating the need to ship it from South America. It creates jobs and much-needed economic activity for the province. 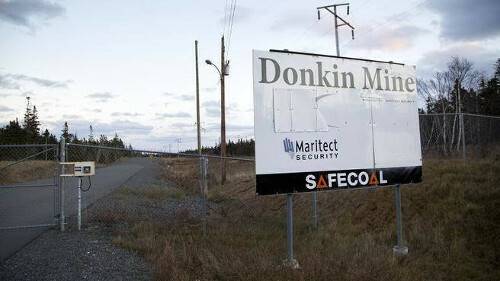 Donkin will create about 120 jobs, adding to the 5,500 Nova Scotians the mining industry already employs. Just as we would not judge today’s auto industry by its safety and environmental standards from a half-century ago, we also should not judge today’s mining industry by outdated perceptions. Nova Scotia's mining industry is seeking recognition as being an important employer in the province. As a result, the Mining Association of Nova Scotia has issued "Scratch & Lose" cards to illustrate how jobs are being lost here because ofgovernment policies. "The mining and quarrying industry, all over the province, has lost 800 jobs since 2008," association executive director Sean Kirby said. He said mining and quarrying employs 5,500 people and generates $420 million in economic activity, a big chunk of it in rural areas. The association sent out the cards, modelled on lottery scratch-and-win cards, to bring home the message Nova Scotia's global reputation in the mining sector is suffering. "We feel we need to get that fixed so we can help the industry grow and create more jobs," Kirby said. Nova Scotia also has the added disadvantage of being the highest-cost jurisdiction in Canada in terms of the taxes and royalties it collects. He noted that 42 people at Fundy Gypsum Co. lost their jobs when United States Gypsum Co. idled the quarry and ship-loading facility in Hants County in 2011. While the American owners blamed the closure of the mine on continued weakness in the U.S. housing market, Kirby said the province is in a vulnerable position. "So when a company decides to cut production, we're going to get cut first." The mining industry also wants the Liberals to make good on their promise to give it the same fuel tax rebate that other resource industries such as farming and fishing get. "That was supposed to happen in the spring budget. We are hoping they will do so in 2016," Kirby said. Photo Credit: Atlantic Business Magazine, July/August 2015. Video Above: April 20, 2015, MANS appeared on CBC TV news, CBC Radio News and CBC news online expressing our disappointment with the government's decision not to extend the fuel tax rebate in this year's budget. Nova Scotia Premier Stephen McNeil says his government cannot afford to deliver a fuel tax break to the mining and quarry industry, even though the Liberals promised to phase in the rebate starting in 2015. "It was our expectation and understanding that we would start getting the fuel tax rebate in the recent budget. Unfortunately the budget did not deliver on that," said Sean Kirby, the executive director of the Mining Association of Nova Scotia. The mining industry has argued that like farming, fishing and forestry, it should qualify for the rebate on the fuel used off public highways. "That amounts to about $2.6 million a year in fuel taxes which we just shouldn't be paying for the simple reason that we don't use that fuel on highways," said Kirby. "We use it on huge mining quarry vehicles that operate off-road." McNeil agrees, but said his government cannot afford to lose the revenue right now. "We don't have the money to be able to do that," the premier said Monday. In 2014, the Liberals twice committed to bringing in the rebate during their mandate starting this year. In November, Natural Resources Minister Zach Churchill issued a news release with the promise. "Mr. Churchill said the government will start phasing in a fuel-tax rebate program for mining and quarrying vehicles, and introduce a revised Mineral Resources Act in 2015," the release said. "Why did the minister renege on a promise?" Pat Dunn, a Progressive Conservative MLA, asked last week in the legislature. Churchill replied: "The indication that we've given to the mining association was that this credit will be looked at and distributed in the course of our mandate and our mandate is not yet over." McNeil also claimed the Liberals have promised only to deliver the 15 cent per litre rebate during their mandate. Progressive Conservative Leader Jamie Baillie used the issue to attack the Liberals on Monday. "It's another broken Liberal promise on jobs," he said. "Last week, they broke a promise to the film industry that may costs 2600 jobs. This week, they've broken a promise to the mining industry where hundreds of other jobs are now also at risk." The Mining Association of Nova Scotia was less strident, calling on the Liberals to "make good on it next year." A spokesperson for the National Gypsum Company - which operates a large gypsum mine in Milford - also urged the government to act. "A fuel tax rebate would help us lower our overall cost per ton to produce gypsum rock. That's important because the gypsum market is very competitive,'' Nancy Spurlock, a spokesperson for the company, said in an emailed statement to CBC News. "Two of the four gypsum mines in the province shut down in 2011, and cost was a factor in their closings. We need to ensure our costs remain competitive," she said. The Mining Association of Nova Scotia says the province has reneged on a pledge to cut the fuel tax for the mining industry. "It's been a long-standing issue in Nova Scotia that the provincial government does not give our industry the fuel tax rebate that it gives to other resource industries," said Sean Kirby, the executive director of the association. "The government promised to do so starting in 2015 and it has not fulfilled that commitment." The fuel tax is used to pay for public roads and highways and "is supposed to be a user-pay system," Kirby said. But the vehicles involved in the mining industry stay on private quarries and don't go on those roads. "By that same principle, the government should give the same fuel tax rebate to the mining and quarrying industry," he said. "The government has promised to fix that. ... Unfortunately it did not make good on that promise. So we're disappointed." The rebate could still happen, but it's a long shot, he said. "I think in theory they could still do a bill. It would be unusual; I mean, a budget is the usual time to do that and we've been given no indication the government is going to consider that." He's been in contact with the government and hopes the rebate could still happen in 2016, but that's a year away. Kirby won't speculate why the industry didn't get the rebate. "We were really counting on the government giving us the rebate to help the industry grow and create jobs and to support us in what are very difficult times for our industry," he said. "The Province of Nova Scotia will do its utmost to fulfil this commitment," Natural Resources Minister Zach Churchill said in a written statement. "Ultimately, we cannot offer the rebate for the coming year. The province has a duty to not only balance our finances but also deliver fair and equitable services to taxpayers. "The fuel tax rebate for the industry will be applied when the province's finances are in a stronger and stable position." The mining industry employs 5,500 people, mostly in rural Nova Scotia. Mining bosses in Nova Scotia expect to see more layoffs and fewer hires in the next six months, says a recent survey. 42 per cent expect the number of staff to remain the same. “Many companies are feeling less optimistic now than they did at the beginning of the year," association executive director Sean Kirby said in a news release Tuesday. Respondents pointed the finger at the state of Nova Scotia’s eco­nomy as their biggest obstacle, followed by government regula­tion. The province increased stake ­claiming fees by 75 per cent last year and has, the industry claims, “an unnecessarily difficult regu­latory regime for prospecting and exploration." The industry has lost about 800 jobs in the past decade but still provides 5,500 jobs, mainly in rural areas, and contributes $420 million to Nova Scotia’s economy, the group said. 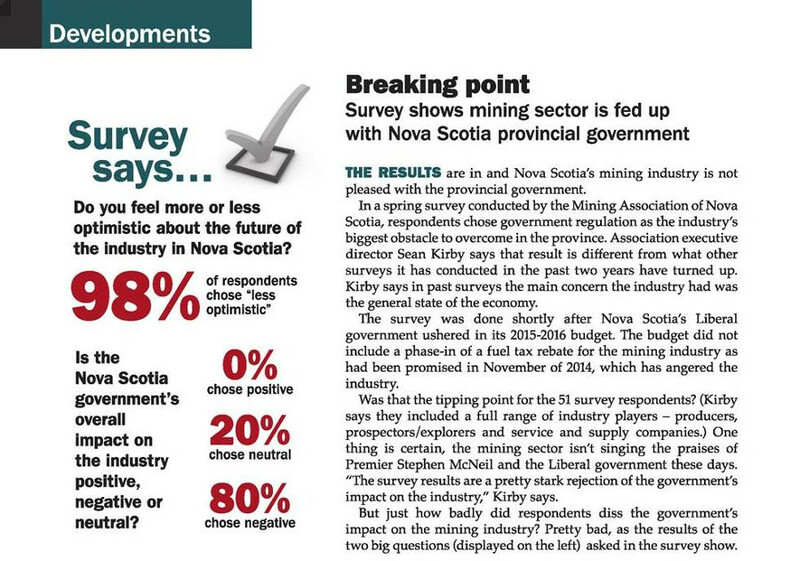 The survey results were re­leased as part of Nova Scotia Mining Week from Nov. 10 to 14. I am writing to provide some context about the recent expropriation of land for the Black Point Quarry at Fogartys Cove. First, it is important to understand that expropriations for mines and quarries are rare and only used as a last resort. We are aware of only three expropriations for mines since 1990 and the Black Point Quarry is the only one we are aware of for a quarry project. It is always the industry’s preference to negotiate private, mutually beneficial arrangements with landowners. Offers for land are often well above market value. Second, when expropriations are done, it is because there is no other way for a company to purchase all the land necessary to establish a new mine or quarry and create jobs and other benefits for Nova Scotians. It is simply a question of the greater good. The Black Point Quarry is expected to create more than 150 direct and indirect jobs during the construction phase, and more than 120 direct and indirect full-time jobs during peak operation. The project, located in Guysborough County, an area that has struggled with depopulation and economic challenges, is expected to last about 50 years. The only recent example of an expropriation for a mine is DDV’s proposed Touquoy gold mine in Moose River. It will create up to 300 jobs during the construction phase, 150 ongoing direct jobs during operations and have an annual payroll of over $13 million. 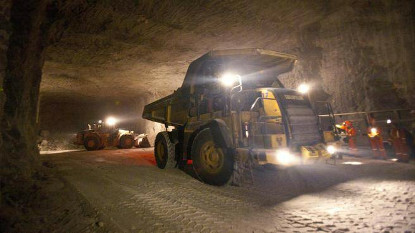 The mine will generate millions of dollars in tax and royalty revenues for the province. While we all feel sympathy for the landowner in expropriations, other people also have a legitimate stake in the issue that must be considered. The two projects above will create hundreds of jobs in areas that desperately need economic opportunity. Families will be supported, people will be able to come home from out West and young Nova Scotians will be able to stay here. There is a broader community interest in ensuring these projects happen. In the case of the Touquoy gold mine, DDV was able to purchase properties from 29 landowners, but one refused to sell. The landowner was offered $300,000 for 7.2 acres of land, a tiny portion of the several hundred acres he owns, and a price that far exceeds market value. It became necessary for DDV to seek an expropriation so hundreds of jobs could be created, many of them for other residents in the community, and so all Nova Scotians can benefit from the taxes and royalties the mine will generate. While no one likes to see expropriations happen, — not landowners, companies or governments — they are sometimes necessary to strike a balance between the rights of individual landowners and the broader community. The provincial government is bringing in a tax change long sought by Nova Scotia’s mining industry. Officials for the Mining Association of Nova Scotia were recently informed that the Liberal government will phase in the motive fuel tax rebate for the industry. Officials have long lobbied for the move, arguing that the tax, which is intended to help maintain the province’s roads and highways, was being charged for mining equipment that never leaves work sites. The forestry, fishing and farming industries already benefit from the rebate. Sean Kirby, executive director of the Mining Association of Nova Scotia, said the change will help grow the industry. Given the sometimes razor-thin margins facing these companies, every dollar is significant, he said. The Liberals made the commitment during the election campaign, said Kirby. The association received a letter Tuesday from Finance Minister Diana Whalen informing it that the rebate would start to be phased in with the next provincial budget. “I think some of the details are still to be worked out, but the commitment made is to phase it in over the final three years of the government’s mandate, starting in the 2015-16 budget,” said Kirby. It was the industry that suggested phasing in the rebate “to balance the fiscal challenges of Nova Scotia with the removal of the fuel tax,” he said. The Liberals are reviewing all of the province’s taxes and fees. Whalen could not be reached for comment Sunday. Kirby said the change signals that Nova Scotia wants to be competitive and welcoming when it comes to mining. The tax worked against the province when trying to attract investment, he said. Today marks the 22nd anniversary of a major mining disaster. On 9 May, 1992, a methane gas explosion roared through the Westray coal mine in Plymouth, killing 26 miners. The bodies of 11 men were recovered almost immediately. A desperate but unsuccessful search for survivors continued for six days. Rescue workers said the danger of a cave-in was too great to continue. It was the worst mining disaster in Canada since 1958, when a series of collapses at a Springhill coal mine killed 75 men. Sean Kirby, executive director of the Mining Association of Nova Scotia, says that in the years since the disaster, mine safety has improved dramatically, with the injury rate reduced by 90 percent in the past 15 years. He added mining is now one of the safer industries in the province. It was on May 9, 1992 when 26 miners, 15 of whom were never recovered due to an elevated cave-in risk, were killed in a methane gas explosion at Westray Mines in the New Glasgow area. But the Mining Association of Nova Scotia, in a release marking the tragedy’s anniversary issued Thursday, claims to have learned its lesson, and highlighted safety advances such as a 90% reduction in injury rates in the mining and quarrying industry over the past 15 years. Executive Director Sean Kirby reiterated the association’s focus on safety, noting an 8.8% reduction in the injury rate in the 2012-13 period. While a public inquiry into the disaster led to “significant changes in the way the industry is regulated and was a milestone in the establishment of a safety culture”, the association reminds us the industry still contributes 5,500 high-salary jobs within mostly rural areas of the province. It contributes $420M to Nova Scotia’s GDP annually, and adds that mining was mentioned as providing the essential foundations for Nova Scotia's rural economy" in the Ivany Report. On this day in 1992, an explosion at the Westray Mine in Plymouth, Nova Scotia claimed the lives of the 26 men who were underground at the time. It was the worst mining disaster in Canada since 1958, when a series of collapses at a Springhill coal mine killed 75 men. Sean Kirby, executive director of the Mining Association of Nova Scotia, explained to News 957 what the day means to those who work in the occupation. According to Kirby, safety in mining has improved drastically since the disaster and they’ve reduced they injury rate by 90 percent in 15 years. He added mining is now one of the safer industries in the province. “It’s a real commitment to the fact that the most important thing to come out of the mine is the miner,” said Kirby. 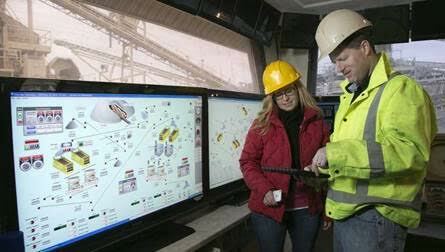 The mining industry contributes 5,500 jobs in province and generates $420 million to Nova Scotia’s economy. Claim-staking fee hikes are forcing prospectors to put down their picks, says the Mining Association of Nova Scotia. According to a recent survey of members of the mining association and the Nova Scotia Prospectors Association, 79 per cent of prospectors and explorers expect to drop at least some of their claims within one year of the August 2013 fee hikes, before annual claim renewal fees are due. Fifty-four per cent said they plan to drop over half their claims. The survey also found that 87 per cent believe the fee hikes will harm their business and 88 per cent believe the hikes will harm the province’s mining industry. The previous NDP government hiked claim staking fees, which must be renewed annually, by 75 per cent last August. The mining and prospectors associations say the new fees are, on average, 53 per cent higher than in New Brunswick and a whopping 621 per cent higher than in Newfoundland and Labrador, where claims are renewed every five years. The associations said a Nova Scotia prospector with 50 claims now has to pay $9,500 in fees over 10 years, up from $5,424 prior to the fee increases. A prospector with 300 claims now has to pay $57,000 in fees over 10 years, up from $32,547. Kirby said prospecting and exploration are vital to finding new mines and the fees are undermining that activity. “Eight months after these huge fee increases were implemented, many prospectors are giving up their claims because they simply cannot afford to keep them,” he said. John Wightman, executive director of the Nova Scotia Prospectors Association, said the harm being caused by the fee increase is “completely disproportional” to the small amount of revenue being generated for the government. “The fee increase is particularly short-sighted given the millions of dollars in taxes and royalties that a single mine can generate,” he said. The mining association said the government’s 2014-15 budget indicates total government revenue from exploration claims will be $215,000. It estimates the fee hike will generate roughly $75,000 to $85,000 annually in additional government revenue. Kirby said the additional revenues the government will realize from the fee hikes are tiny relative to its entire budget. But he said the fees are significant additional costs for individual prospectors who likely won’t realize any income from their claims for years. “They don’t have revenues at that stage of the mining cycle,” he said. Don James, executive director of the Department of Natural Resources’ mineral resources branch, said recently there are no plans to lower provincial claim staking fees. James said Friday that the total cost of maintaining an exploration licence or claim in Nova Scotia is similar to New Brunswick and to Newfoundland and Labrador over five and 10 years. “That total includes various other ‘work requirements’ — added expenses — that all provincial governments require mining companies to keep their claims in good standing,” he said in a statement. “Those added work requirement expenses paid to drilling and survey companies are part of the full cost of maintaining a claim over the years. The mining association said Nova Scotia’s mining and quarrying industry provides 5,500 jobs and contributes $420 million to the province’s economy each year. Nova Scotia has been declared as one of the least attractive provinces in Canada for mining companies to invest in, according to the Fraser Institute, and the Mining Association of Nova Scotia believes regulations and tax regimes imposed on the industry by the provincial government are the main reasons why. Executive director Sean Kirby told News 95.7 the Ivany report highlighted the importance of mining to the province’s rural communities, but hearing negative reports is not a surprise to people in the industry. He said it wouldn’t take a whole lot to turn the tide and attract new business, just level the playing field with other resource-based industries in the province, most of which receive a fuel tax rebate for vehicles that don’t use public roads. “We’re really looking to the provincial government to show leadership on this, help turn this situation around in terms of the policy environment in which we operate,” said Kirby. According to Kirby, the industry currently employs about 5,500 people in Nova Scotia, and mining is one of the highest paid industries in the province. He believes by fostering investment, Nova Scotia can create many more jobs, particularly in the rural areas of the province which are facing tough times. The survey placed neighbouring New Brunswick as one of the most attractive provinces in the country for mining investment. The Ivany commission's report highlighted that some of Nova Scotia's oldest industries are still vital to the province's future: "In future, as in the past, the traditional rural industries - tourism, manufacturing, mining, fisheries, forestry and agriculture - will provide the essential foundations for Nova Scotia's rural economy. The basic viability of many of our rural communities hinges on whether these sectors can create more and better jobs and generate more wealth." The loss of approximately 800 jobs in the past five years. Nova Scotia is the highest-cost jurisdiction in Canada in terms of our industry's tax/royalty burden. We have an unnecessarily difficult regulatory regimen at the prospecting/exploration stage. As the commission put it, "opposition impede(s) industry development." If Nova Scotians are to overcome our economic and demographic challenges, the province needs industries like ours to grow. While an improved global economy would obviously help, we don't have any control over it, so let's focus on things we can do here at home. First, a fairer, modernized, more sensible regulatory and policy environment is essential. Our policy concerns include being charged fuel tax even though other resource industries receive a tax rebate for fuel consumed off-highway; last year's 75 per cent hike in claim-staking fees and the overall high cost of operating here; and regulations that discourage exploration and investment. These unhelpful government policies need to be fixed as soon as possible. Second, as the commission put it, "almost all new investment opportunities face significant criticism and at times active opposition from citizens ..." To be clear, it is legitimate for residents to have questions and concerns about proposed industrial activities in their communities, be they mines, quarries or anything else. At the same time, the commission highlighted that we need to also have a greater willingness to support businesses that promise to create jobs while operating in a safe, sustainable, responsible fashion. Everything we want - from excellent health and education systems to opportunities for our kids to stay home instead of moving out West - ultimately depends on creating jobs. We need to strike a better balance between asking reasonable questions about a proposal while still embracing opportunities. In our case, we face a range of outdated perceptions about our industry. No one would judge today's auto industry by its safety and environmental standards of the 1950s, yet people do sometimes judge mining by what it was like in the distant past. The reality is today's mining and quarrying industry is a sophisticated, high-tech business that is vital to our economy and way of life. That is why we created an educational website - www.NotYourGrandfathersMining.ca - that explains, in layman's terms, how the industry works today. We need to do a better job helping our fellow Nova Scotians understand why a mine or quarry proposal in their community is good news: it will create jobs and environmental problems will be responsibly managed. After all, companies are made up of people who care as much about the environment as anyone else, and who also want to leave a better world for their children. The bottom line is we need the jobs; we need the materials we take from the ground to support our modern society; and just as our industry has reduced its injury rate by 90 per cent in the past 15 years, we have also made tremendous strides in raising our environmental standards. This is not your grandfather's mining industry. The commission's challenge to all of us is to work together, as industry, government and communities, to create jobs and opportunity. The viability of our province, especially rural areas, depends on it. The Mining Association of Nova Scotia expressed its support for the Ray Ivany-headed Commission On Building Our New Future report, released Tuesday. Sean Kirby, association Executive Director, notes the industry is one of Nova Scotia’s oldest going back almost 350 years to the first established coal mine in 1672, and today employs 5,500 people, mostly in rural areas, while contributing $420M to the provincial economy. The group’s press release cited the report where it described the industry’s difficulties due to its reliance on the recently wobbly US market, but also notes constraints due to regulatory and policy barriers as well. A recent survey of Nova Scotia's mining industry bosses indicates there are brighter days ahead. "It's still cautious at this point, but the survey shows our members are starting to feel that optimism returning and starting to think more about creating jobs and investing in the future," Sean Kirby, executive director of the Mining Association of Nova Scotia, said Monday. The survey, conducted Jan. 6- Jan. 21, found that 27.5 per cent of the association's estimated 100 members indicated they expect to hire more people. That's up from 11 per cent in September. Only 10 per cent said they expect to cut workers, down from 18 per cent in September. Another 51 per cent of members said they expect their workforce to remain the same over the next six months. The mining and quarry industry currently employs about 5,500 people in Nova Scotia, mainly in rural parts of the province, producing sand, salt, limestone, gypsum and aggregate, which makes up about 75 per cent of the province's industry, Kirby said. A study commissioned by the province showed the industry contributes about $420 million to Nova Scotia's economy each year, he said. The industry was hit hard by the global economic recession, and the collapse of the U.S. housing market hurt gypsum, which is used to make wallboard, Kirby said. As a result, about 800 people lost their jobs in Nova Scotia's mining industry within the past five or six years, he said. This recent survey shows there is hope "over the next few (years), we'll be able to gain those back and then keep right on growing and hiring more Nova Scotians," Kirby said. It's a long and complicated process between the time deposits are identified to actually opening a mine, he said, so ramping up productions at existing mines or reopening mothballed mines is the quickest way to recover at least some of those lost jobs. 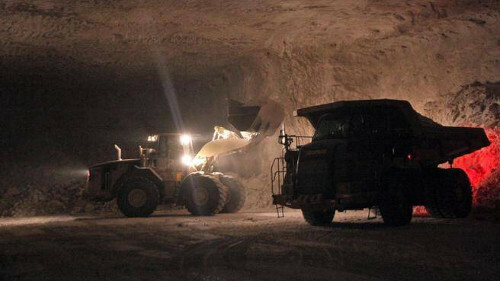 "We're starting to see a bit of a rebound in gypsum," Kirby said, and it's hoped that production at the province's two remaining gypsum mines will increase over the next year or two. Adding a little sparkle to the industry is the return of gold mining operations to the province. "It's exciting to finally, after about a dozen years, have gold mining operations return to Nova Scotia because we haven't had one since Dufferin last operated in 2001," Kirby said. The Dufferin gold mine in Port Dufferin is in the process of hiring about 70 people and is expected to get into full production in the next few months, he said. More jobs are coming with the Touquoy mine in Moose River, which is expected to hire 300 people during the construction phase and 150 during regular operations. The mine is expected to start production in 2015 and have a payroll of more than $13 million, the association says.